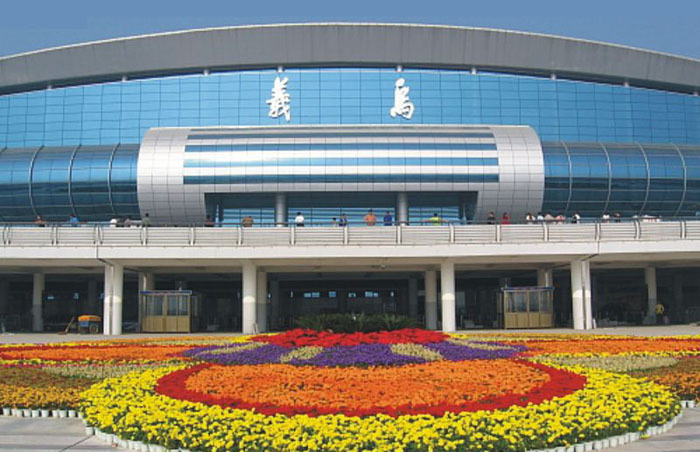 The City of Yiwu in Zhejiang Province, China, famous for its small commidity trade and markets, has only one train station namely Yiwu Railway Station (义乌火车站) with two very important rai lines passing through: Shanghai – Kunming High Speed Railway & Shanghai – Kunming Railway (non-highspeed) connecting major cities like Shanghai, Hangzhou, Jinhua, Wenzhou, Changsha, Nanchang, Guiyang, etc. The station has both high speed train service (G or D trains) & conventional train service (T or K or Z trains). Location: No.333 Beizhan Avenue, Houzhai Street, Yiwu City (义乌市后宅街道北站大道333号)..
By bus: K801, K802, K803, K804, K805, K806, K807, K809, K818, K801, K370, K380. Most of the public bus in Yiwu departes every 5 – 30 minutes and cost you CNY 1.5 – 2. If money is not an issue for you, taking a taxi would be the fastest option.